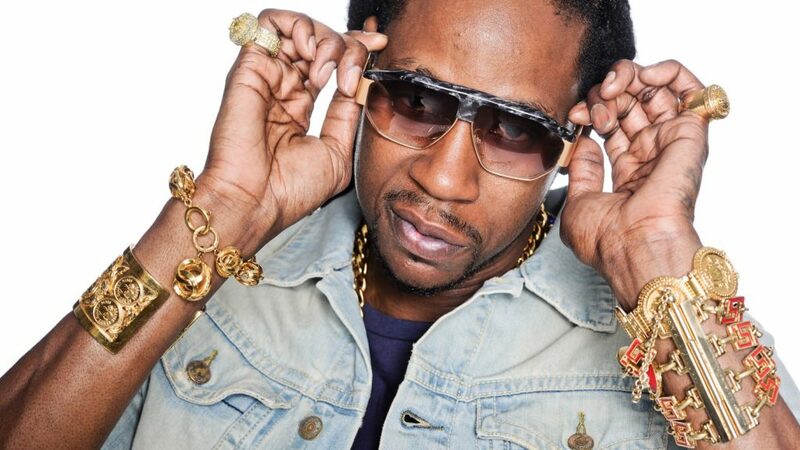 In early 2011, Epps decided to change his stage name to 2 Chainz, as he perceived it to be more "family friendly". Following the name change, Epps released a mixtape entitled T.R.U. REALigion, which became his first mixtape to appear on the music charts, peaking at number 58 on the US Billboard Top R&B/Hip-Hop Albums chart. Since the success of the mixtape, Epps has made numerous guest appearances on tracks by prominent recording artists such as Kanye West ("Mercy") and Nicki Minaj ("Beez in the Trap"). On March 24, 2012, Epps announced his debut studio album, Based on a T.R.U. Story (originally titled T.R.U. to My REALigion) was set for an August 14, 2012, release date. The album's lead single "No Lie", features Canadian rapper Drake and was released on May 8, 2012. On May 11, it was under speculation that Epps had signed to Kanye West's GOOD Music label, after West tweeted: "2 Chainz is charging 100k for a verse now cause he's G.O.O.D!!!!!" However, Epps later denied those rumors, saying: "He just said I’m good, like I’m ill. But we was talking and I think I was jeopardizing my brand sometimes by doing the homeboy special. So I think he felt like we should just put that out there that we ain't doing no more of that." On May 30, 2012, Ciara revealed 2 Chainz was featured on "Sweat", the intended first single from her fifth studio album One Woman Army. Based on a T.R.U. Story debuted at number one on the US Billboard 200, selling 147,000 copies in its first week. As of September 23, 2012, the album has sold 288,000 copies in the United States. In September, Epps performed at the 2012 MTV Video Music Awards, alongside longtime friend Lil Wayne. After the release of his debut, Based on a T.R.U. Story, Epps made momentous strides. He facilitated his first solo worldwide tour, selling out most dates, nominated for over 13 BET Hip Hop Awards, bringing home 4 trophies, earned the Source Magazine’s "Man of the Year", released a collaborative endeavor with ADIDAS and later Beats By Dre and was nominated for three Grammy Awards, including Best Rap Album.